Workshop with New Mexico Ballet and Dance Preservation Fund Grant! 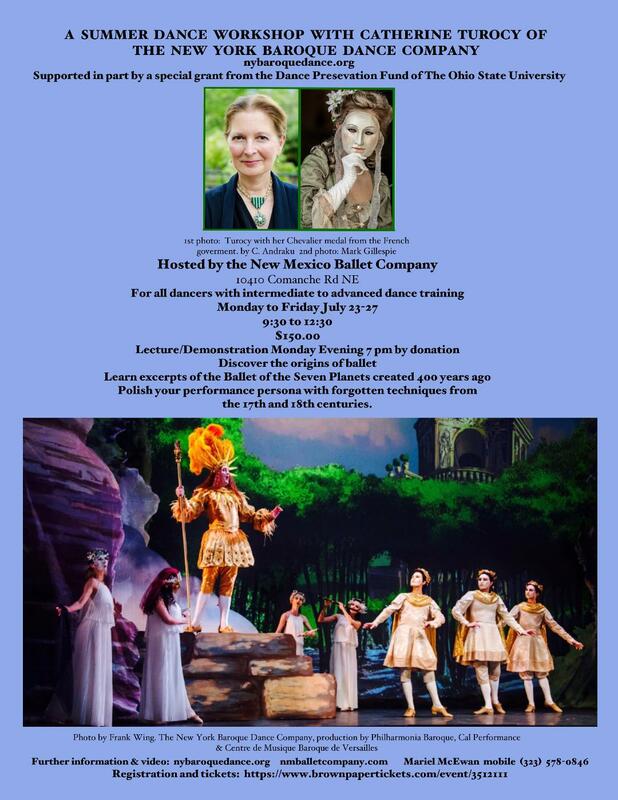 | The New York Baroque Dance Co.
Workshop with New Mexico Ballet and Dance Preservation Fund Grant! 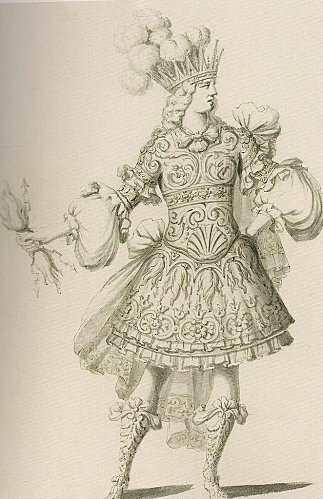 Dance as Science: In the magnificent and opulent court entertainments of Louis XIV, early ballet was considered both an art and a science. The body was trained as a highly functioning instrument of artistic expression revealing the movements of the soul within the dancer. Through both the lines of motion felt within the body and outside the body… whether executing a dance phrase or in creating spatial geometrical patterns of choreography on the stage, through thiese lines, the dancer spins the story of the ballet. These lines of geometry were part of a larger aesthetic ruled by measurements believed to be at the heart of universal harmony and joining the earth with the heavens. As a dancer, I have used the philosophical concepts of the body being the microcosm of the macrocosm of nature and in harmony with the golden ratio. Perhaps the secret behind my performance persona comes from this ability to use the body both physically and dramatically within this structure which is still valid in dance performance today. The workshop will take students through early ballet concepts of theory, technique and performance practice. The morning session will look at technique and complicated dance phrases. Using a smaller movement range than we do today, students will experience a heightened sense of fine motor skills. They will be able to add this new mastery of the muscles to their modern training thus enhancing their abilities to add a subtle air or color to their own performance practice. The morning session will use music from the Ballet of the Seven Planets as well as additional music. We will also look at opera text using the aria of Venus to see how expressive movement and pantomime can be combined to enhance the sung text. Ballets in the 17th and 18th cenuries often wove together the sung and danced air to make a suite.